Exactly What is Shrinkage-Compensating Concrete? 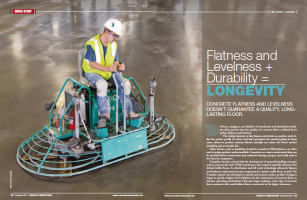 Shrinkage-compensating concrete (SCC) has become the preferred material for industrial concrete floors. 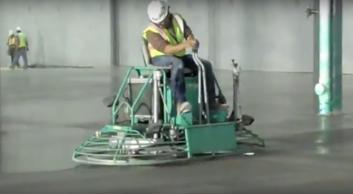 It offers a variety of advantages over conventional concrete from a building owner’s point of view and helps contractors produce a stronger, more durable, abrasion- and impact-resistant floor with fewer joints. But how much do you really know about it? 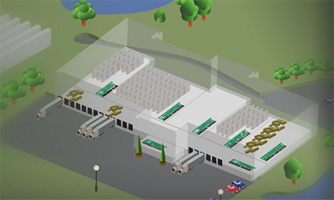 For starters, shrinkage-compensating concrete is created from expansive cement. This cement actually expands through the formation of ettringite crystals during the first week of curing. Once the wet cure is complete, the concrete will return to original size. Normal concrete doesn’t do this. Due to the loss of volume through water evaporation, the concrete begins to shrink after pouring and contracts to a smaller volume or size. If the floor isn’t designed and installed properly, this results in cracking, curling and, ultimately, spalling at the joints. Shrinkage-compensating concrete minimizes and resists cracking and curling. SCC increases its size through expansion restrained by internal reinforcement. Compressive stress is placed on the concrete internally, which is then relieved by subsequent minimal shrinkage. The expansive property controls the shrinkage in such a way as to reduce or eliminate that seen in normal cement. 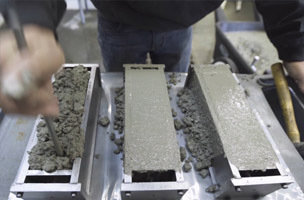 Working with shrinkage-compensating concrete is not like working with conventional concrete. Without experience in installation, the contractor may fail to plan the placement correctly. 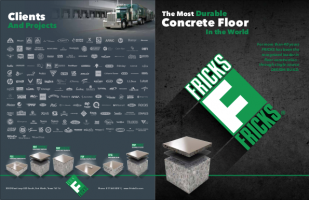 When hiring a concrete floor contractor, look for one that has successfully installed durable floors using shrinkage-compensating concrete. Try to get references for floors that have stood the test of time. Ask how many installations have been done and call references to inquire about the current state of those floors. 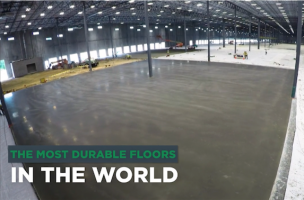 Then you’ll have peace of mind about your SCC industrial floor.